Iran’s Supreme Leader Ayatollah Ali Khamenei speaks to the audience in Tehran, Iran May 17, 2017. (Source: Reuters)Even before the holy month of Ramzan could conclude and Eid spread its munificent blessings over the vale of Kashmir, a deputy superintendent of the Jammu & Kashmir police was stripped, brutally assaulted and killed on the premises of the Jamia Masjid in Srinagar. Just as the faithful had gathered to mark the Shab-e-Qadr or the Night of Power, Mohammed Ayub Pandith’s body was dragged out of the mosque and dumped in a drain. Only six weeks ago, on May 10, Lt Ummer Fayaz was abducted by militants and killed in Shopian district. Even as the pall-bearers carried the dead body of the slain soldier to a nearby orchard, the mourners talked in whispers about the marks of torture on Ummer’s back, his broken jaw, broken ankles, his missing teeth, and the bruises and cuts on his body. The lynching and the gruesome murder of both these officers made the nation recoil in horror. Justified outrage and calls for retribution filled the airwaves. Growing up on the front lines of another battle against terror, this time in Punjab in the 1980s, and having lost a parent to the depredations of that ghastly violence, the ongoing violence in Jammu & Kashmir is but a sickeningly familiar story of the brutalization and dehumanization of society’s psyche brought about by the cycle of violence. Perhaps, we should try and imagine the mindset of a child who was born in 1990 in Kashmir and is today 27 years old. All that he has seen in his life are curfews, cordon and search operations, stone pelting, enforced disappearances, and torture and fake/real encounter killings. For him, violence is the new normal. The face of the Indian state is someone clad in olive green or khaki carrying an AK-47, kicking the front door down. This is the dominant narrative in any militancy-prone, terror-infested, freedom-struggle area –- give it the label of your choice. There were others after him. Sabzar Ahmad renowned as ‘SAB DON’, became the new poster boy of terror in the Kashmir Valley. Taking forward the cult of Wani, Ahmad guided Hizbul terrorists until the security forces neutralised him in an encounter on May 27. More such poster children will, unfortunately, emerge, the reason for which is not difficult to discern. Some months ago about 40-odd young people from various districts of Kashmir, under the aegis of an organisation called Jammu Kashmir People’s Alliance that has an interesting tagline, “We serve, We settle,” came to meet a Concerned Citizens Group in Delhi. This is led by former finance and external affairs minister Yashwant Sinha, who led two highly visible and successful outreach efforts to estranged sections in the Kashmir valley. During the interaction these young boys and girls told us a very disturbing story. Apparently among the most wanted stone pelters in the valley is a gentleman called “DK” and he is all of SEVEN years old. If the average age of stone-pelters is between 7-17 years, irrespective of who is paying them, the Indian state is sitting on a volcano that is belching lava but has not really exploded. When and if it does, a lot of people entrusted with the remit of handling Kashmir both in the Centre and the state, will not have the time to say goodbye. Then there is an international dimension to the Kashmir situation that has suddenly manifested itself. It has everything to do with the turmoil that US President Donald Trump’s visit to Saudi Arabia has plunged the Islamic/ Arab world into. The calling out of Qatar for its links with Iran and subsequent developments has further divided the already fractured polity of the Middle East. On Eid, the Supreme Leader of the Islamic Republic of Iran gave a very chilling address in Teheran. Ayatollah Ali Khamenei publicly called for Jihad. “According to Islamic jurisprudence, when an enemy takes over Muslim lands, jihad in any possible form becomes everyone’s duty,” he said. “Palestine is the number one issue of the Islamic world, but some Islamic countries are acting in such a way as if the Palestinian case had been ignored and forgotten,” he added. Then came the coup de grace. “Muslims the world over should also openly support the people of Bahrain, Kashmir and Yemen and repudiate oppressors and tyrants who attacked people in Ramadan,” Khamenei said. But Zakir Bhat was quickly denounced by the other separatist leaders. However, the fact that a Shia religious leader of Iran has clubbed Kashmir, a predominantly Sunni area with causes like Yemen and Bahrain should worry New Delhi, because Iran backs up its rhetoric with logistical support, be it to the Hezbollah, Hamas, Islamic Jihad or the Houthis in Yemen, to name but a few. This support from Iran coincidentally comes at a time when the predominantly Sunni ISIS, or Daesh, is trying to strike roots in Jammu & Kashmir. On his forthcoming visit to Israel, Prime Minister Modi would be well advised to ask his interlocutors about the activities of General Qasem Soleimani, the once reclusive head of the Revolutionary Guards and its elite Quds Force. General Soleimani has suddenly surfaced from an era in the dark leading clandestine processes overseas, to attain virtually iconic prominence in Iran. He and the Quds Force have successfully converted erstwhile territorial struggles into religious battles. One can only hope that Kashmir is not their next frontline. The government should abandon its excessive reliance on hard power in J&K. Hard power should only be used to soften the recalcitrant so that soft power can take over. Jammu & Kashmir is crying out for the healing touch. All the leaders of the state cutting across the political divide, including chief minister Mehbooba Mufti, are urging the Central government to initiate an outreach to the alienated. The Prime Minister will ignore their sage advice at his own peril. Terms like “final solution” do not help, as that may mean very differently from what the Central government has in mind. Washington, June 28 : Pakistan was put on notice by the US and India who called for rooting out terrorists’ safe havens and to fight groups including Pak-based Jaish-e-Mohammad, Lashkar-e-Taiba and D-company even as the two countries decided to broaden their strategic, defence and economic relationship. The new direction in the bilateral relationship came during the summit meeting on Monday night between Prime Minister Narendra Modi and President Donald Trump who met for the first time six months after the host’s election to the top office. The two leaders also told Pakistan to ensure that its territory is not used for terror attacks on other countries and asked it to bring to justice terrorists blamed for attacks in Mumbai and other places in India. “The leaders stressed that terrorism is a global scourge that must be fought and terrorist safe havens rooted out in every part of the world. They resolved that India and the US will fight together against this grave challenge to humanity. “They committed to strengthen cooperation against terrorist threats from groups including Al Qaeda, ISIS, Jaish-e-Mohammad (JeM), Lashkar-e-Taiba (LeT), D-Company and their affiliates,” said the joint statement issued after their meeting. India appreciated the US designating the Pakistan-based Hizbul Mujahideen leader Syed Salahuddin as a Specially Designated Global Terrorist — just ahead of the Trump-Modi meet of Monday — “as evidence of the commitment of the US to end terror in all its forms”. Also, in their joint remarks to the media after delegation level talks, both Modi and Trump spoke of their commitment to combat terrorism. Trump said both India and the US had been struck by terrorism, “and we are both determined to destroy terrorist organisations and the radical ideology that drives them. “We will destroy radical Islamic terrorism,” he said. “You should take the step for what it is. It is in a sense fixing responsibility, highlighting a problem. On economic cooperation, the two countries said they plan to undertake a comprehensive review of trade relations to expedite regulatory processes and increase market access in areas such as agriculture, information technology and manufactured goods and services. Against the backdrop of Trump’s remarks against India and China regarding the Paris climate change agreement, the statement said the two leaders called for a rational approach that balances environment and climate policy, global economic development and energy security needs. The US cleared the sale of Guardian drones to India with the two countries pledging to deepen their defence and security cooperation. “Reflecting the partnership, the United States has offered for India’s consideration the sale of Sea Guardian Unmanned Aerial Systems, which would enhance India’s capabilities and promote shared security interests,” it said. The United States expressed strong support for India’s early membership in the Nuclear Suppliers Group, the Wassenaar Arrangement and the Australia Group. It also reaffirmed the support of the United States for India’s permanent membership of a reformed U.N. Security Council . “Non-state actors including terrorist organizations will exploit any loophole to obtain these technologies,” she said. “While there are still significant technical hurdles that terrorist groups need to overcome to effectively use weapons of mass destruction, a growing number of emerging technologies could make this barrier easier to cross,” Nakamitsu said. So the rumors last month were true: Six thousand centrifuges will continue to spin, which is supposedly a great victory for the U.S. since it would mean — assuming Iran isn’t covertly operating even more centrifuges under the UN’s nose — that Iran would need a solid year to “break out” and refine enough uranium to power a nuclear bomb. Which means Barack Obama would have a year to prepare and execute a U.S. attack on Iran’s nuclear facilities to stop them.Oh, minor footnote: Barack Obama’s never going to attack Iran’s nuclear facilities. Ever. And both sides understand that. French diplomats are no angels, and they haven’t suddenly turned 180 degrees from their usual attitude of reflexive dislike toward Israel. They worry, however, that if Iran gets nuclear weapons, every other local Middle East power will want them. Among their worst nightmares is a situation in which Turkey, Egypt and Saudi Arabia join the Dr. Strangelove club. French diplomats may not like Israel, but they do not believe Israelis would use a nuclear device except in a truly Armageddon situation for Israel. As for Egypt, Saudi Arabia or Turkey going nuclear, however, they see terrifying possibilities: irresponsible leaders, or some ISIS-type terrorist outfit, could actually use them. In other words, even if they would never express it as clearly as that, they see Israelis as “like us,” but others potentially as madmen. I said most of what I had to say about this in this post but let me reemphasize an obvious point: All this is, really, is a punt. Obama’s stuck between two unpalatable options, bombing Iran and starting (or escalating) a hot war across at least three countries in the region, namely, Iran, Iraq, and Syria, or doing nothing and being known to history as the Man Who Let Iran Get the Bomb. A 15-year deal with sunset provisions is as explicit an attempt as you can get to push the ultimate disposition of Iran’s nuke program onto some future president. Maybe the mullahs will be deposed by then and the problem will solve itself (although it’s naive to think even a friendlier regime in Tehran will be willing to capitulate on enrichment). Maybe the U.S. will have developed new weapons by then, cyber or otherwise, that will permit a more effective attack on Iran’s facilities than we’re capable of right now. Maybe the Israelis will figure something out. Or maybe the status quo will hold, more or less, and President Hillary or President Jeb or whoever will have to make the sort of tough decision that Obama’s incapable of making. Whatever the answer, it won’t be his problem anymore. Unless of course Iran violates the agreement before January 2017. And why would they do that and risk alienating O when he’s busy reorienting America’s entire Middle East policy towards detente with the Shiite menace? Two other points here. One: After all the Democratic screeching about Tom Cotton’s unprecedented, historic, near-treasonous Logan-Act-smashing letter to Iran, it did squat to disrupt the deal. And that was predictable, of course, since Cotton’s letter said nothing that Iran didn’t already know. It was cheap left-wing demagoguery from the word go, designed to bolster a guy whose committed the sort of sins against separation of powers that would have liberals demanding impeachment if a Republican had committed them. Take nothing these people say seriously. Two: All lefty defenses of doing a deal with Iran boil down to “the mullahs are rational.” Even if the worst occurs and they build a bomb on the sly — a prospect Obama’s Democratic supporters are clearly already preparing for rhetorically — it’s not a huge deal because Iran’s rulers haven’t made any suicidal moves to date. They didn’t fight to the bitter end against Saddam in the 80s, they preferred Shiite proxies and arms shipments to direct battlefield confrontation with the U.S. in Iraq — they know their limitations, so they won’t do anything dramatic with Israel knowing the scale of nuclear retaliation that awaits. The problem with that defense is that it assumes that things can’t get worse in Iran; the current regime is the craziest Iran is capable of, supposedly, and since they’re kinda sorta rational, that means there’s no worst-case scenario. Rule one of Middle Eastern regime change, though, is that things can always get worse (and usually do). In fact, the left’s criticism of Cotton’s letter tacitly acknowledges it: Cotton’s letter allowed “hardline” opponents of the nuclear deal in Iran’s parliament to proclaim that the negotiations were doomed and shouldn’t continue. What happens if Khamenei dies and one of those “hardliners” ascends the throne? Lefties and righties alike recognize what a nuclear clusterfark it would be if Pakistan’s leadership was deposed by something more Taliban-esque. We all understand it’d be a terrible idea to let the Saudi royals have the bomb knowing what’s waiting in the wings to replace them. What if something similar happened in Iran, with the fanatics di tutti fanatics within the regime suddenly inheriting a supply of highly enriched uranium? Why does Iran get such a weird benefit of the doubt as to its enduring stability and rationality? A bomb that fails to explode after it is dropped is called a dud. Occasionally that dud goes off long after the battle is over, causing casualties among people who thought they were no longer in harm’s way. Politico published a story in April about how the Obama administration undermined its own anti-proliferation and sanctions-enforcement efforts to reach a nuclear deal with Iran. It should have been a bombshell when it was published. But if it made any noise at all, the sound was lost amid the cacophony over supposed collusion between Russia and the Trump presidential campaign. In reaching its 2015 deal to restrict Iran’s nuclear activities in exchange for lifting international and some – but not all – U.S. sanctions, the Obama administration released seven Iranian prisoners (six of whom were Iranian-American) and dropped international extradition efforts to try to gain custody of 14 others. This much became public knowledge when the deal was implemented in January 2016. But the report from Politico said the former president downplayed the offenses for which the detainees had been held and the others were being sought. Three of the released prisoners were part of a procurement network that sought microelectronics for Iranian anti-aircraft and cruise missiles. Another had been sentenced to eight years for supplying Iran with satellite technology. The 14 fugitives who the U.S. had sought to apprehend included the alleged ringleader of a group that acquired vital American-made parts for Iranian centrifuges via China. Those centrifuges were a key component of the very Iranian nuclear program that the administration was trying to stop. That’s just what happened in 2016, after the deal was signed. Politico also reported that the Obama administration began slow-walking efforts to apprehend Iranian arms-smugglers and sanctions-busters as early as 2014, when talks on the potential nuclear deal were still a secret held closely within the White House and a small circle of senior executive branch officials. Obama’s under-the-table concessions on Iran’s procurement agents, like the overall Iran nuclear deal itself, are arguably unwise but unarguably legal. The determination and execution of American foreign policy are the purview of the executive branch, subject to congressional prerogatives over appropriating funds, confirming nominees, declaring war and ratifying treaties. Despite the fact that it involved American commitments to Iran and collaboration with multiple other countries, the nuclear deal was presented as an executive agreement rather than a treaty, which is why President Trump is free to disavow it if he should choose. So far, he has not. American allies as diverse as Israel and Saudi Arabia instantly saw the Obama agreement as a concession to an implacable enemy and a threat to their own security. No doubt they knew the extent of the concessions regarding the sanctions-evading individuals well before Politico brought this to wider attention. With America’s reliability as a bulwark against Iranian aggression undermined, the Saudis in particular embarked on a much more muscular response of their own, including the current near-blockade of neighboring Qatar for being insufficiently loyal to the anti-Tehran cause. Was Obama “colluding” with the Russians amid his 2012 presidential campaign? Not unless collusion has been redefined to include the conduct of international diplomacy by a sitting president. Trump, of course, was not a sitting president during the 2016 campaign. Nothing has surfaced to indicate that he or the people around him had anything to do with the hacking of Democratic campaign files and subsequent releases of embarrassing emails that U.S. intelligence agencies (then run by Obama appointees) concluded were the work of the Russians. And while some in Trump’s circle surely had business dealings with Russian executives and officials during that time, those likewise were not illegal, and had even been encouraged by the Obama administration. Well after the election and just a few weeks before Trump’s inauguration, Obama retaliated against the alleged Russian electoral interference with new sanctions, including the ban of 35 Russian individuals from U.S. soil. According to news reports initially sourced to anonymously leaked intelligence, Trump’s incoming national security adviser, Michael Flynn, discussed those sanctions with a Russian diplomat and may have indicated that Trump would revisit the actions once he took office. (Thus far Trump has let Obama’s steps stand.) Flynn served in the administration for less than a month before being forced to resign, largely for telling Vice President Mike Pence that he had not discussed sanctions with the Russians – denials which were later contradicted, to Pence’s embarrassment. So for the past four months we have been exposed to an endless deluge of columns purporting to explore and explode the alleged “cover-up” for which there is, as far as anyone yet knows, no underlying crime, based on leaks from the administration of a president who, after boasting of his own forthcoming “flexibility,” sought to tie his successor’s hands in dealing with the still-emerging disclosures of Russian interference in an American election. It has been a lot of noise and smoke, but with very little actual explosive force. Meanwhile, an actual bombshell landed almost unnoticed and sits waiting for someone to stumble across it. It may never go off. Then again, especially if one of Obama’s catch-and-release proliferators is ever linked to a successful hostile event, it could someday yield a pretty big bang. An international group of ex-nuclear commanders Wednesday issued the first in a series of recommendations to world leaders to head off the rising threat of a nuclear war — calling on the Trump administration to open direct talks with North Korea, urging the United States, Russia and NATO to immediately establish military-to-military talks, and calling on India and Pakistan to set up a nuclear hotline. “The Nuclear Crisis Group assesses that the risk of nuclear weapons use, intended or otherwise, is unacceptably high and that all states must take constructive steps to reduce these risks,” the former military and diplomatic leaders — from nations as diverse as Russia, China, India, Pakistan, and the United States — write in an 11-page report about what they consider the biggest nuclear flashpoints. The crisis group was established earlier this year under the auspices of Global Zero, an leading arms control organization that supports the ultimate abolition of nuclear weapons. The calls for action on North Korea coincided with a letter Wednesday to Trump from a bipartisan group of former top U.S. leaders — including former secretaries of State, Defense and Energy — also urging him to open direct talks with North Korean leader Kim Jong Un. 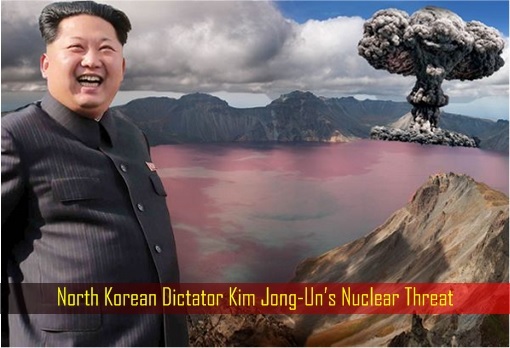 The letter to Trump was signed by William Perry, former secretary of Defense under Bill Clinton; George Shultz, secretary of State under Ronald Reagan; Robert Gallucci, who was was chief U.S. negotiator during the North Korean nuclear crisis of 1994; Siegfried Hecker, the former director of the Los Alamos National Laboratory, who has visited North Korea seven times; former Republican Sen. Richard Lugar, who chaired the Foreign Relations Committee; and Bill Richardson, a former secretary of Energy and another frequent visitor to the isolated communist regime. On Russia, the report from the former nuclear commanders says the escalating standoff between the United States and its European allies and Moscow also requires urgent action by all parties, including limiting the size, nature and secrecy of military exercises. They also call on Trump and President Vladimir Putin to agree to extend the 2012 New START nuclear arms reduction treaty between the United States and Russia when they meet in Germany next week. The group also offers a series of recommendations to lower nuclear dangers in South Asia, where the arsenals of India and Pakistan are considered particularly destabilizing because they do not have the same of security procedures as other nuclear powers. Another area of high concern not receiving enough attention is the potential for a cyberattack on nuclear command and control systems. “All states with nuclear should also consider establishing a formal dialogue to prevent cyber-based interference in nuclear operations, command-and-control and early warning capabilities,” the report says. “The growth and uncertainties surrounding national offensive cyber capabilities must be walled off from nuclear operations and early warning to protect against a new dangerous potential source of instability and crisis manipulation. In a new national broadcast, Japan alerted its citizens to seek shelter in sturdy buildings or lie face down on the ground in the unfortunate event that North Korea fires a nuclear missile at the country. The 30-second announcement is being aired on 43 TV stations from now until early July, while written instructions are being printed in 70 newspapers throughout Japan, The Telegraph reported. 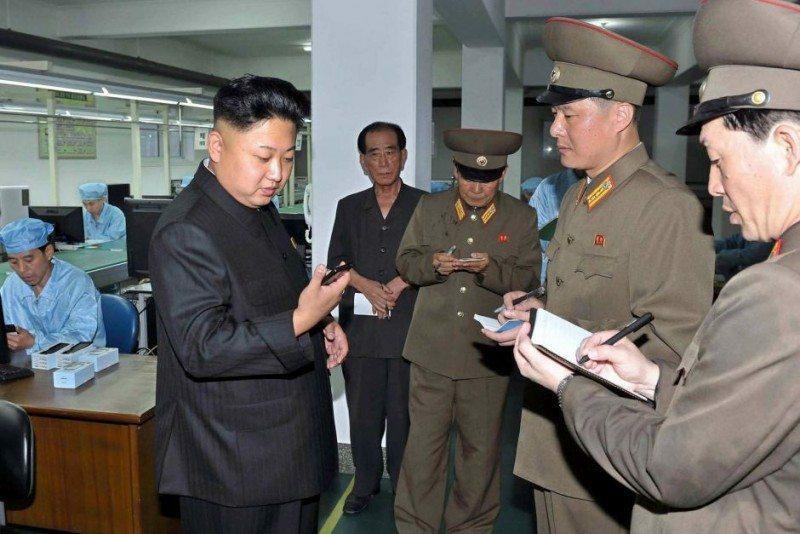 The government will keep the public informed through speakers across the country should a missile attack break out. It also asked citizens to stay away from windows and protect their heads if they happen to be inside buildings, with underground shopping malls being recommended as shelters, too. The warning comes amid increasing tensions between the states. Japan is the only country that has ever suffered the devastation of a nuclear war, The Sun noted, when the U.S. dropped two atomic bombs on Hiroshima and Nagasaki in the last days of World War II. The attack killed more than 250,000 civilians while many suffered the lingering effects of radiation. 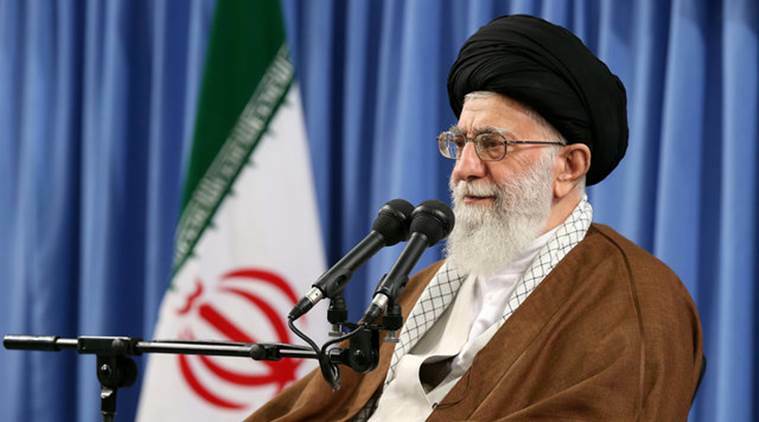 In a surprising development, Iran’s Supreme Leader Ayatollah Khamenei asked Muslims around the world to support people of Kashmir and other places against “oppressors” who attacked people in Ramzan. He compared the situation in Kashmir to that of the “oppressed nations” of Yemen and Bahrain. The last time Khamenei raked up the Kashmir issue was seven years earlier. India had then lodged a protest. Khamenei’s official website carried a transcription of his Eid address. He said Islamic nations are covered in “wounds”, and that Muslims should raise their voices in support of their brothers. “Our people can back this great movement within the World of Islam,” he said. In both Yemen and Bahrain, Iran is accused of backing the Houthis and Shia activists against the governments. In September 2010, the Iranian Foreign Ministry criticized the Indian government for firing on Kashmiri activists protesting the burning of a Quran in US. Later in November, Khamenei compared Kashmir to Gaza and Afghanistan, calling for support for the “struggle”. India had then summoned the Iranian ambassador to lodge a protest. Two years later, the then PM Manmohan Singh met Khamenei on relatively friendly-terms. The difference this time is that “we are in a post-deal environment where India is working very hard (with Iran) to bring strategic projects like Chabahar to fruition, despite the US president’s moves to undermine the nuclear deal”, says foreign affairs specialist Sumitha N. Kutty. The timing is significant: it came on the day PM Narendra Modi was scheduled to meet US President Donald Trump, who views the Hassan Rouhani government as “opposed to US interests”. There’s also speculation about concerns in Tehran about India’s growing friendship with Saudi Arabia. Raking up the issue could simply be an attempt to draw international and Islamic attention to the Kashmir situation.